The Gamboa Rainforest Resort, a hotel offering access to the nearby forest, is the town's main attraction today, attracting tourists from all around the world. Nestled in the middle of the vast Soberania National Park Rainforest, on the banks of the Chagres River and Panama Canal, is the surprisingly beautiful luxury hotel, the Gamboa Rainforest Resort on the Panama Canal. Go to sleep each night listening to the exotic sounds of the tropical forest and enjoy the comfort of spacious suite. 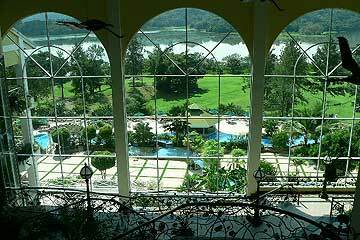 For more info please visit the Gamboa Rainforest Resort website. 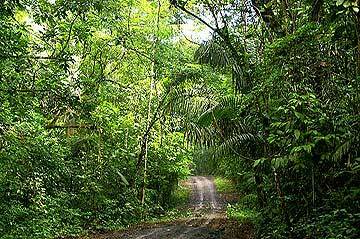 Gamboa is adjacent to significant tracts of relatively undisturbed rainforest. A trail that follows an old pipeline ("Pipeline Road") is considered one of the best birding hikes in Panama. The Soberania National Park counts with 105 species of mamals, 525 species of birds, 79 species of reptiles, 36 species of fish and an incredible abundance of plants. 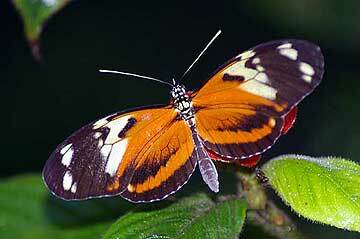 Here you find some Photos of Birds from Panama and here other Nature Photos with many of them from Panama.